You’re looking at a museum piece. Literally. 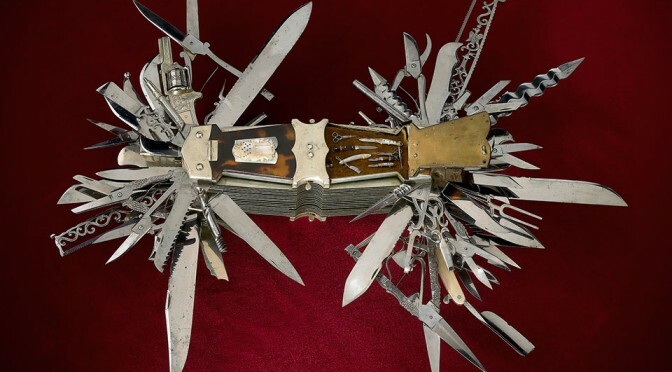 The thing “was made in Solingen, Germany about 1880 for J. S. Holler & Co.’s cutlery store in New York City. It was used to display the fine craftsmanship available to their customers,” and is now on loan to Cody Firearms Museum up to Fall 2015. 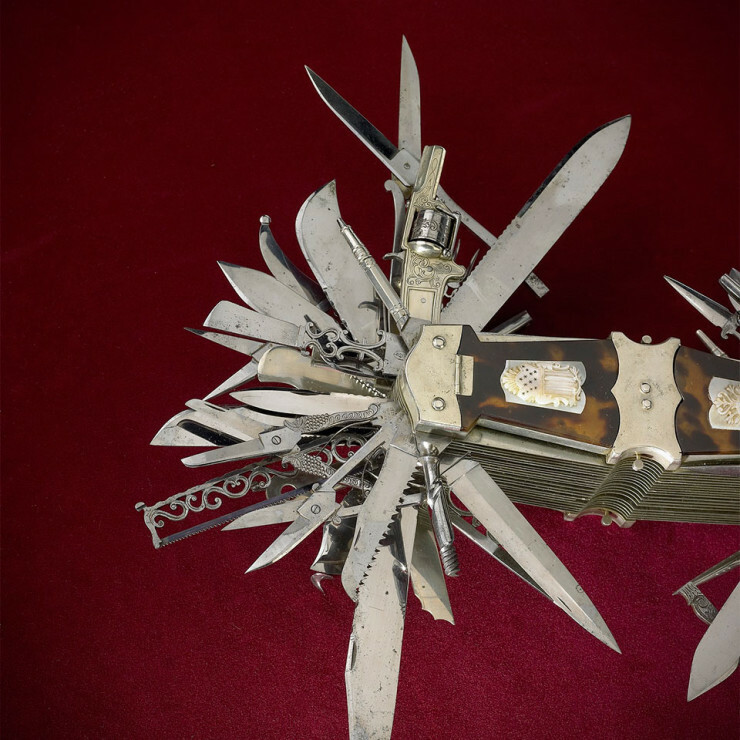 It packs 100 “blades”, including “pocket knife blades of every style imaginable, a serrated blade, two dagger blades, several different types of shears and scissors, an auger, a corkscrew, two saws, a lancet, button hook, cigar cutter, tuning fork, pens and mechanical pencils, mirror, straight razor, and a functional .22-caliber five-shot pinfire revolver. The one modern convenience it doesn’t seem to have is a bottle opener, but the bottle cap as we know it wasn’t invented until 1892.” No bottle cap opener? The thing is worthless! 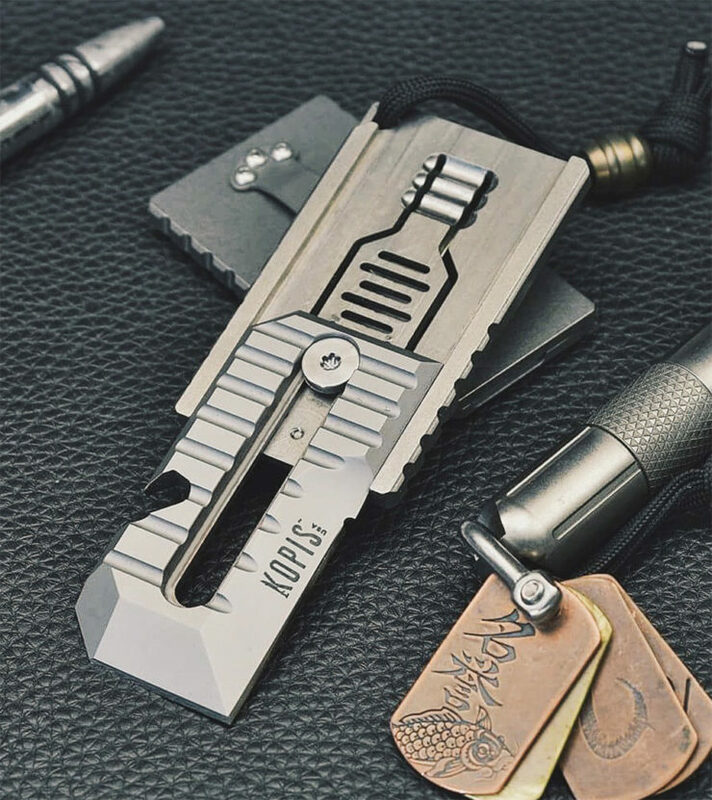 No but seriously, that’s one badass tool that not only looks impressive even by today’s standards, but also serves to remind us that Swiss-Army-style multitools have been around for a heck of a long time. 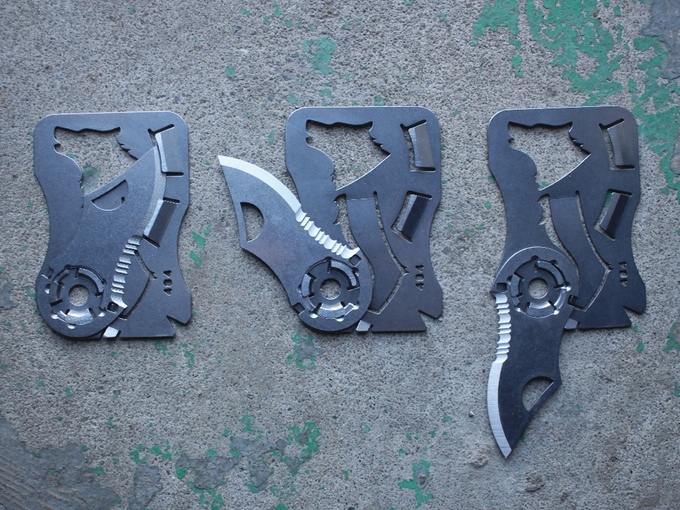 Oh we sure have posted about multitools over the years. 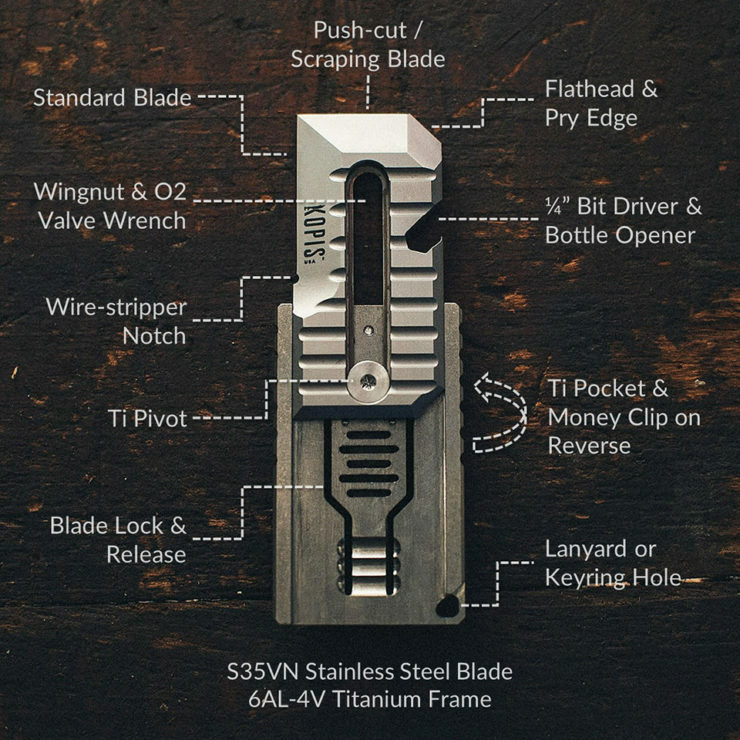 And lately, with Kickstarters popularity, we see as much news about “revolutionary” multitools as we do about “life changing” wallets. At the end of the day, it’s just a piece of metal with bits and bobs to help you do stuff. It’s not life changing or even that exciting, to be honest. 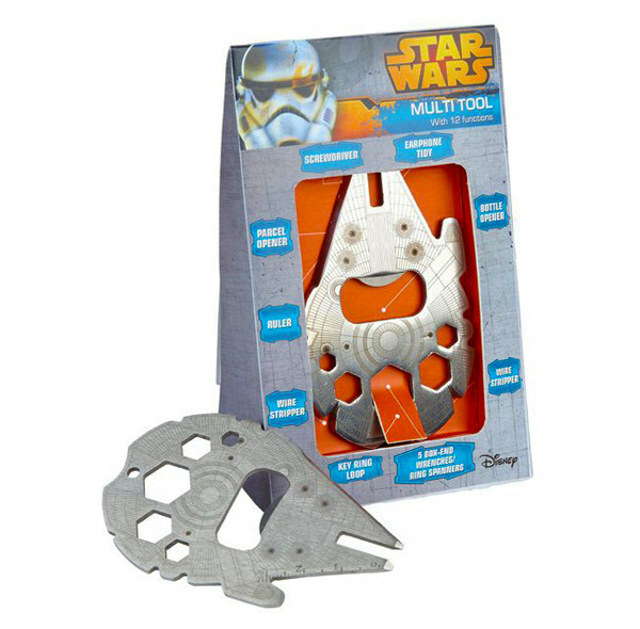 But hey, this one is shaped like the Millennium Falcon, so it’s got that going for it… which is nice. Features? It’s £10, or about $15USD, and available for pre-order now with shipping in September. You had us at ‘demolition’. But since we’re sticklers for details, we might as well tell you a bit more about the Cole-Bar. It’s technically a hammer, but it also does duty as 6 other tools: a crow bar, a demolition tool, an angle measurement tool, a ruler, a socket wrench and nail pliers. Granted some of these “tools” are somewhat of a stretch; anyone can call a hammer a ruler as well if you use its straight edge to draw a line. 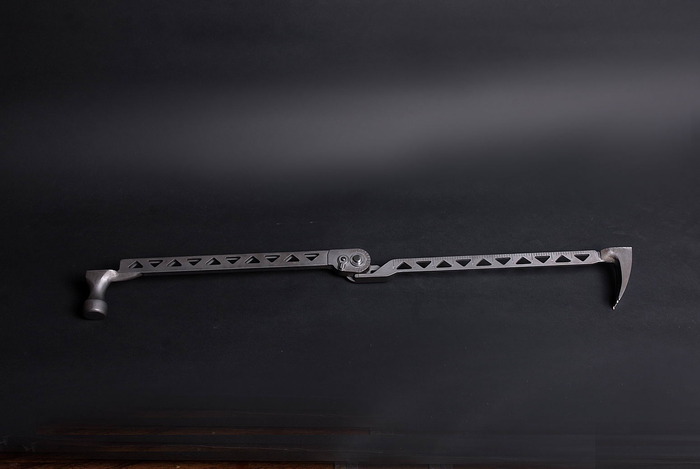 But the point is that the Cole-Bar features a patented locking gear mechanism, meaning it can be opened and extended from 0-180 degrees and locked in place at 15 degree increments. This turns it into a full fledged crow bar for instance, but you can also split it in two and use each half as a separate tool. There’s a socket wrench mechanism at the end of one of the halves, and angle measurement notches at the end of another. The current prototype is made out of a #45 carbon steel with electro-plating which is likely to survive repeated attempts to destroy it. The final production model’s composition hasn’t been determined yet, and yes, this does mean that the Cole-Bar isn’t a finished product. It’s doing the Kickstarter dance as we speak, 64% into a $100k goal in $65 increments. If you pledge, you can expect to see it in the Fall. 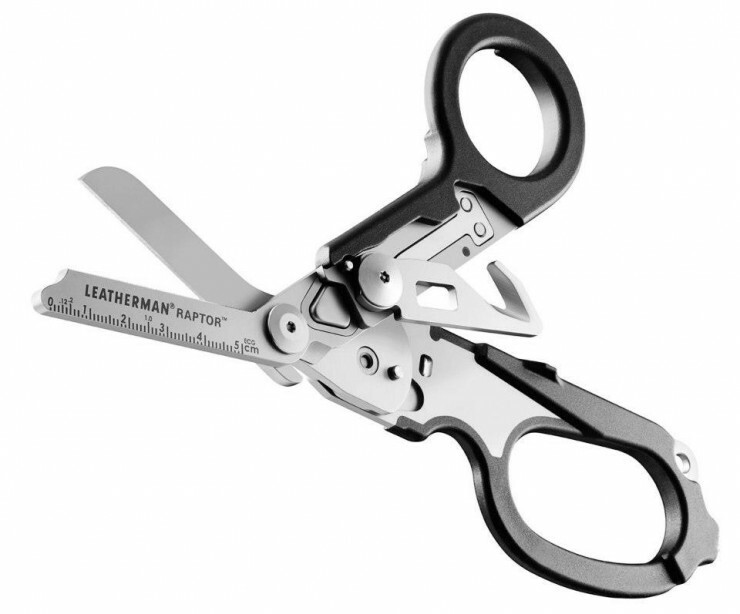 There are multi-tools for a variety of purposes; the Leatherman Raptor was created with medics in mind. 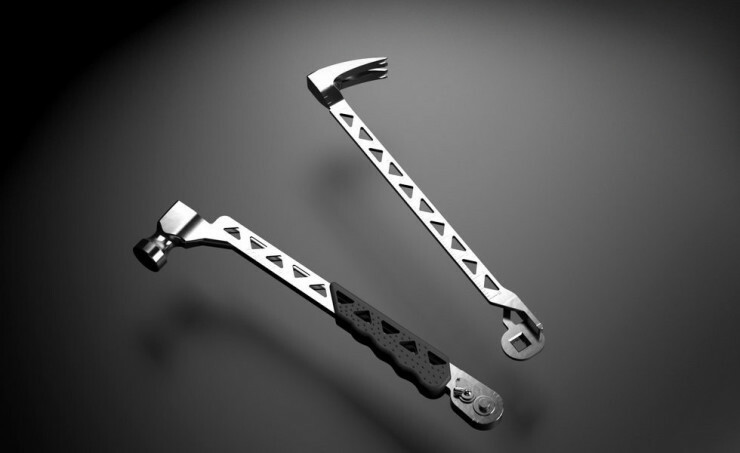 Constructed around a pair of 420HC stainless steel medical shears, the Raptor also features a carbine glass breaker, a ring cutter, a ruler, an oxygen tank wrench and strap cutters that can be deployed one-handed. If other Leatherman tools are any indication, the Raptor will be built with materials and craftsmanship of the utmost quality. Expect to see it hit the market in May 2013, although no price has been announced yet. Right now it’s a fully-funded project on IndieGoGo and $40 will get you started. 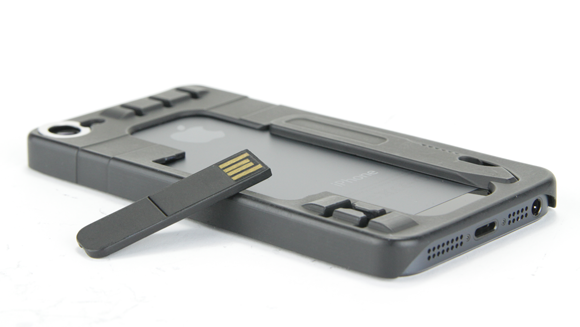 At that price you get both an iPhone 4S and 5 body, as well as a 8GB flash drive. Hit the jump for pics and links.